Please visit us at the Official Chamber of Commerce Visitor Center when you arrive in Sedona (look for the blue sign!) We're located at 331 Forest Road & SR 89A in Uptown Sedona. 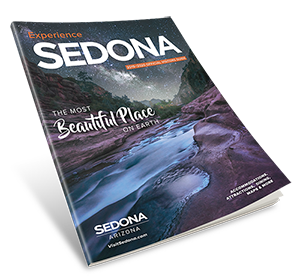 We will assist you with everything you need to know about Sedona, and will provide you with maps, directions, and referrals to make your stay in Sedona special! For more information call us at 1-800-288-7336 or email info@sedonachamber.com.